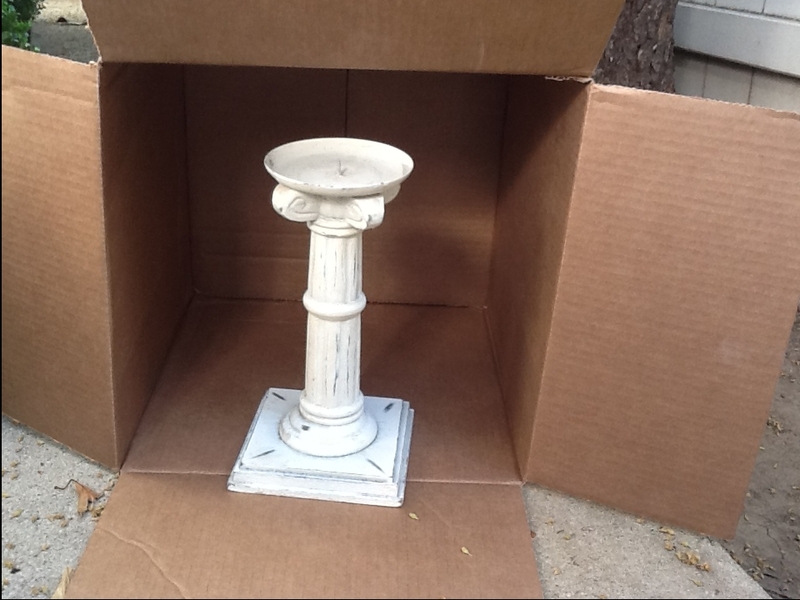 I spray painted this old candle stick from an idea on the Family Handy Man website, Mess Free Painting Tip. Using this box really helped with the mess. 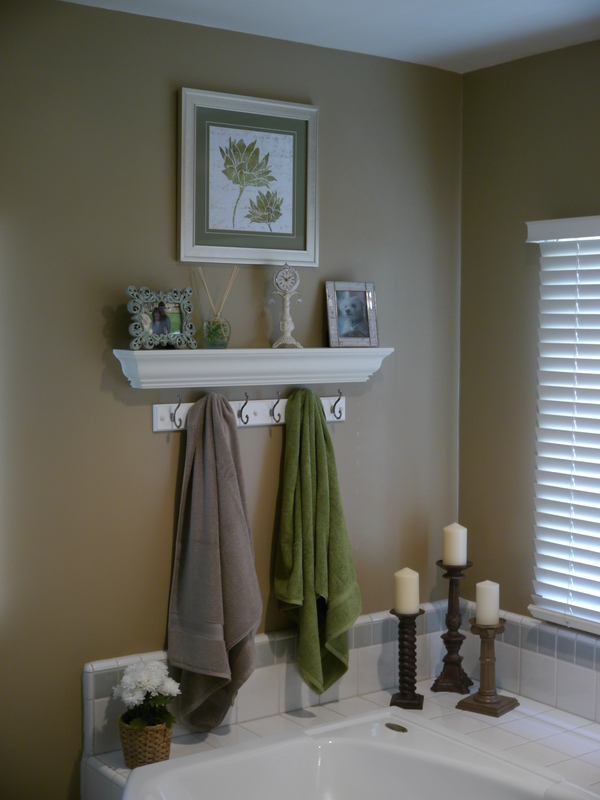 The finished product can be seen in my Master Bathroom.